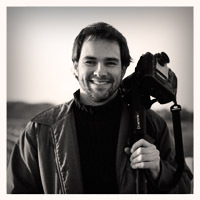 Chris Nicholson, 43, is a writer and photographer based in New York City and southern Connecticut. He has been shooting professional tennis since 1995, when he photographed Monica Seles announcing her return to the tour after a two-year hiatus. He has covered the US Open, Australian Open, Davis Cup, Fed Cup, International Tennis Hall of Fame and other events on and off the pro tours. His work has appeared in Tennis magazine, USTA Magazine, Tennis Life, Tennis Buyers Guide, Tennis Industry, Racquet Sports Industry, the New York Times, the US Open program, and myriad tennis and sports publications throughout Europe, Asia and South America. His tennis photos were included in the 2002 book US Open Unmatched and the 2006 book Open Season. Chris also worked as a staff editor for Tennis magazine and USTA Magazine for nine years, and is currently a contributing editor for Racquet Sports Industry. He has authored more than 35 features for tennis magazines, has written about tennis for Wired magazine, and has also contributed to the US Open program. Three magazine articles he conceived and top-edited have won APEX Awards for feature writing. Additionally, Chris has edited four books and written one (this one).